Mary Harris, the daughter of a Roman Catholic tenant farmer, was born on 1st May, 1830 near Cork, Ireland. Mary's father got into trouble for his political activities and in 1838 decided to move the family to Toronto, Canada. After graduating from high school, Mary became a school teacher and worked in Michigan before settling in Memphis, Tennessee. In 1861 she married George Jones, an iron molder. Like her father, Jones held left-wing political views and was an active member of the Iron Molders' Union. In 1867 a yellow fever epidemic swept through Memphis, killing Mary's husband and her four children. She decided to move to Chicago where she set up as a seamstress. However, the 1871 Chicago Fire destroyed her home and her business. Jones now became a full-time trade union organizer. Specializing in helping miners in their fight for decent wages, improved working conditions and an end to child labour. Her work involved making speeches, recruiting members and organizing soup kitchens and women's auxiliary groups during strikes. After the formation of the United Mine Workers Union in 1890, Jones became one of its officials. Jones, who by the 1890s, was in her sixties, was always affectionately called Mother Jones by the other trade unionists. In 1905 Jones helped to form the radical labour organisation, the Industrial Workers of the World (IWW). Important leaders of this organization included William Haywood, Daniel De Leon, Eugene V. Debs, Elizabeth Gurley Flynn, Carlo Tresca, Joseph Ettor, Arturo Giovannitti, William Z. Foster, Joe Hill, Frank Little and Ralph Chaplin. As a member of the Industrial Workers of the World (also called Wobblies) Jones travelled the country helping workers to form themselves into unions. In 1908 Jones played a leading role in the mine strike in Paint Creek, West Virginia. During the strike, men employed by the mine-owners, machine-gunned the strikers and their families. When a company guard was murdered, Jones was arrested. Now aged seventy-eight, Jones was found guilty of being involved in the crime and was sentenced to twenty years in prison. A senatorial investigation discovered she was innocent of the charges and the sentence was overturned. Jones was also involved in organizing workers in the mining strikes in Colorado in 1913 and 1923. This again led to her arrest and a nine week spell in prison. Now aged eighty-three, Jones was deported but when she returned to the strike area she was once again imprisoned. In 1925 Jones published her autobiography. She defiantly wrote: "In spite of oppressors, in spite of false leaders the cause of the workers continues onward. Slowly his hours are shortened, slowly his standards of living rise to include some of the good and beautiful things in life. Slowly, those who create the wealth of the world are permitted to share it. The future is in labor's strong, rough hands." 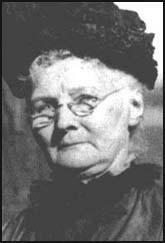 Soon after celebrating her 100th birthday, Mary Harris Jones died on 30th November, 1930. After a funeral attended by over 20,000 people, Jones was buried in the United Mine Workers Union Cemetery in Mount Olive, Illinois. (1) In October, 1908, Mary Mother Jones wrote about child labour in the socialist journal, Appeal to Reason . The article dealt with the factory owner, Braxton Comer, the Governor of Alabama who owned a large textile mill near Birmingham. It had been thirteen years since I bid farewell to the workers in Alabama, and went forth to other fields to fight their battles. I returned in 1908 to see what they were doing for the welfare of their children. Governor Cromer, being the chief star of the state, I went to Abdale, on the outskirts of Birmingham, to take a glance at his slave pen. I found there somewhere between five and six hundred slaves. The governor, who in his generous nature could provide money for Jesus, reduced the wages of his slaves first 10 per cent and then 16. As the wretches were already up against starvation, a few of them struck, and I went with an organizer and the editor of the editor of the Labor Advocate to help organize the slaves into a union of their craft. I addressed the body, and after I got through quite a large number became members of the Textile Workers Union. When I was in Alabama thirteen years ago, they had no child labor law. Since then they passed a very lame one. They evade the law in this way: a child who has passed his or her twelfth year can take in his younger brothers or sisters from six years on, and got them to work with him. They are not on the pay roll, but the pay for these little ones goes into the elder one's pay. So that when you look at the pay roll you think this one child makes quite a good bit when perhaps there are two or three younger than he under the lash. One woman told me that her mother had gone into that mill and worked, and took four children with her. She says, "I have been in the mill since I was four years old. I am now thirty-four." She looked to me as if she was sixty. She had a kindly nature if treated right, but her whole life and spirit was crushed out beneath the iron wheels of Comer's greed. When you think of the little ones that his mother brings forth you can see how society is cursed with an abnormal human being. She knew nothing but the whiz of a machinery in the factory. The wives, mothers and the children all go in to produce dividends, profit, profit, profit. The brutal governor is a pillar of the First Methodist church in Birmingham. On Sunday he gets up and sings, "O Lord will you have another star for my crown when I get there?" I saw the little ones lying on the bed shaking with chills and I could hear them ask parent and masters, what they were here for; what crime they had committed that they were brought here and sold to the dividend auctioneer. The high temperature of the mills combined with an abnormal humidity of the air produced by steaming as done by manufacturers makes bad material weave easier and tends to diminish the workers' power of resisting disease. The humid atmosphere promotes perspiration, but makes evaporation from the skin more difficult; and in this condition the operator, when he leaves the mill, has to face a much reduced temperature which produces serious chest infections. They are all narrow-chested, thin, disheartened looking. (2) In her autobiography Mary 'Mother' Jones wrote about William B. Wilson and the 1899-1900 strike in Tioga County. In spite of oppressors, in spite of false leaders the cause of the workers continues onward. Slowly his hours are shortened, slowly his standards of living rise to include some of the good and beautiful things in life. Slowly, those who create the wealth of the world are permitted to share it. The future is in labor's strong, rough hands. In the spring of 1903, I went to Kensington, Pennsylvania, where seventy-five thousand textile workers were on strike. Of this number at least ten thousand were little children. The workers were striking for more pay and shorter hours. Every day little children came into Union Headquarters, some with their hands off, some with the thumb missing, some with their fingers off at the knuckle. They were stooped little, things, round shouldered and skinny. I asked some of the parents if they would let me have their little boys and girls for a week or ten days, promising to bring them back safe and sound. A man named Sweeny was marshall. A few men and women went with me. The children carried knapsacks on their backs in which was a knife and fork, a tin cup and plate. One little fellow had a drum and another had a fife. We carried banners that said: "We want time to play."